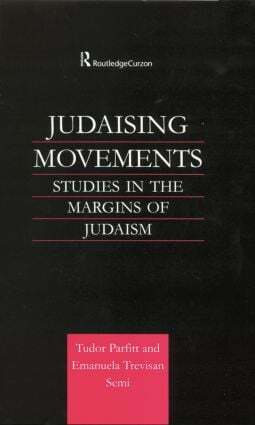 The history of Judaising movements has been largely ignored by historians of religion. This volume analyzes the interplay between colonialism, a Judaism not traditionally viewed as proselytising but which at certain points was struggling to heed the Prophets and become a light unto the Gentiles' and the attraction for many different peoples of the rooted historicity of Judaism and by the symbolic appropriation of Jewish suffering. This book will look at the role of colonialism in the development of Judaising movements throughout the world, including New Zealand, Japan, India, Burma and Africa. Particular attention will be paid to the Lemba tribe of Southern Africa. A remarkable parallel movement in 1930s Southern Italy will also be dealt with. The history of the converts of San Nicandro is seen in the context of currents of Jewish universalism, messianism and Zionism. Gender issues are also discussed here as the converted women assumed powers they had not hitherto enjoyed.